For those who don't know what it is, Pantone Colours were featured in almost every industry, especially for design industry. Every Pantone Colour is one of a kind and has their own code which is easier for designers to identify, hence The Pantone Colour stands as a irreplaceable existence that everyone would appreciate. Sticking to the topic, this time in Big Brain we're going to introduce you those Pantone Colours that were used on furniture in our store, and discover how to match them with other furniture. The LOVER Sofa Set in Jeans Blue has been modeled after the Pantone colour ‘Airy Blue’. Airy Blue, described as "serenity", was the ideal colour option for the LOVER Sofa Set, which is made to be lived in and enjoyed visually for its sleek, contemporary feel. The calming blue works pleasingly with natural warm rubber wood tones to create an emphasis on the organic nature of Scandinavian interior design and Autumnal colour scheme. Wondering what Pantone colours to pair with the LOVER Sofa Set? We recommend the soft blue and warm brown be paired with a contrasting mustardy yellow. The result would be an arresting stillness, interrupted by the warmth of a yellow-brown accent. Timeless and versatile design is the leading point of why My Londoner Signature Series never run out of style. Londoner Series Sofas dropped like nuclear bomb in Korea as soon as they were launched, instant-off sofa cover and trendy colour selections have successfully flooded Masstige Deco with countless laud. Owning one of the White Black colour sets is recommended since neutral grey colour is a colour that can match with almost any colours! 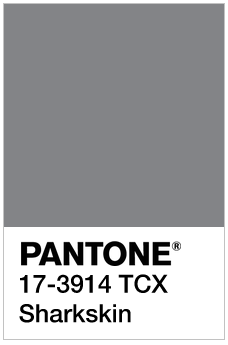 Pantone recommends using Neutral Grey as an accent colour or as a head-to-toe statement. This is perfect for a modern, Nordic-approach, where grey is often used magnificently as an accent piece against other neutrals. If you’re considering Pantone’s colour palette with Neutral Grey, tawny russet tones such as ‘Pastel Brown' and ‘Autumn Maple’ are a great option. Thank you for following our blog post, stay tuned for more informations about matching colours! FYI, black and white didn't run out of style since they first discovered, so as myriads of wood tones.